Update: I’ve revised the info here to reflect gear options and prices from early 2017. Do your ears perk up when you hear an interesting sound? Do you imagine how sounds combine, and how you can twist them? Do you notice how audio affects others? Do you hear things others miss? Maybe you’re a recent film school or game audio grad that became intrigued during a field recording seminar. Perhaps you’re a musician, and are curious about sound samples. What’s your next step? How do you start field recording? Gear is expensive. Not everyone has thousands of dollars to spend. How can you begin inexpensively? Equipment costs are often seen as a barrier to entry in the field recording craft, but they don’t need to be. With a bit of ingenuity and effort you can begin field recording and gathering your own sound effects library with little cash. This is the first of a two-part series. Today I’ll look at one way new field recordists can begin recording sound clips quickly, part time, with minimal expense. Next week I’ll share four ways to take this knowledge and mould it into a field recording career. 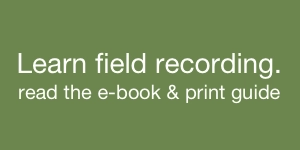 Why do new field recordists choose budget recording? Cost, of course. They want to begin gathering sound effects, but lack the budget of sound pros. They are intrigued by field recording. They are excited to learn more. They want the experience of creating samples now. I like this idea. There’s no reason why anyone should need $5,000 to begin exploring sound effects, after all. Will you capture better audio by doubling your budget? Yes. Preamps will be cleaner. Microphones will capture richer sound. There’s no avoiding that. It’s a matter of physics. Does that mean sound quality is linked to expense? In a way. Will a $200 recorder match the sound quality a $7,000 kit? Of course not. But budget field recordists welcome this. They accept that a bit of hard work and inconvenience is a good trade for beginning field recording now. Budget field recording also has a valuable, hidden benefit: it forces a field recordist to focus on performance and skill instead of relying solely on gear. Budget field recordists develop strong technique, problem solving skills, innovative approaches, and, most importantly, creativity. That’s a fantastic way to begin field recording. So, today’s post has suggestions for this perspective. 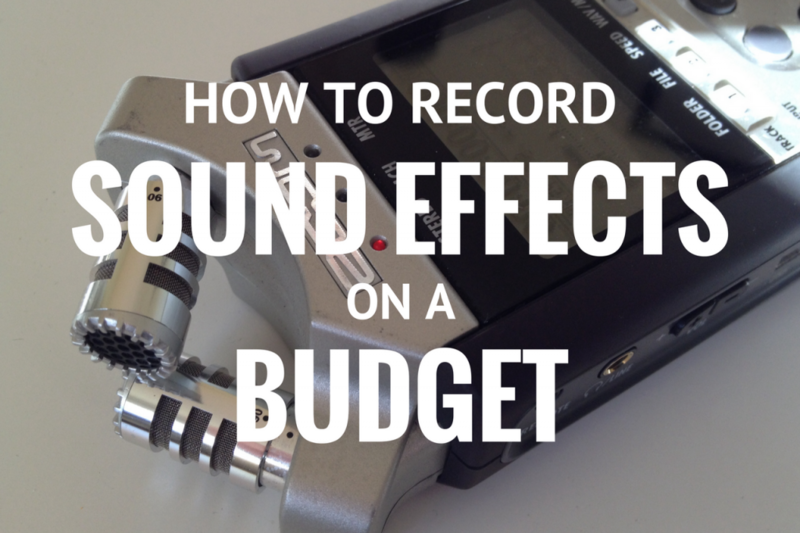 The idea behind budget recording is to help you begin capturing sound effects as cheaply as possible, without sacrificing sound quality. 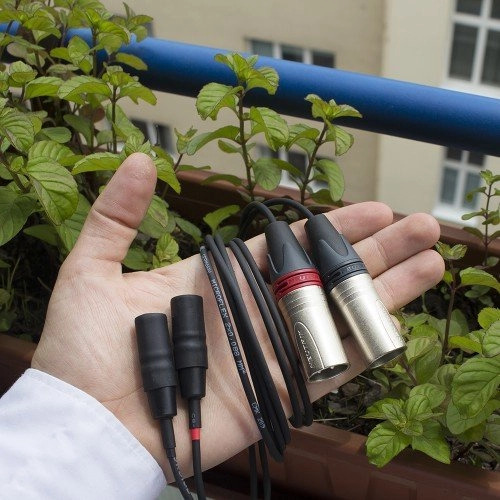 And, as a bonus, these tips will help you plant seeds for a strong field recording craft. Is this the only method? Of course not. It’s based from my experiences. If I was to begin all over again, these are the steps I’d take. Take the ideas that resonate with you. Ignore or modify those that don’t. 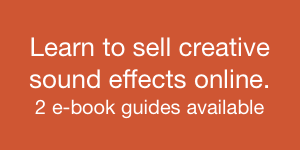 Please note that the gear described in part 1 is not a list of endorsements or recommendations. Instead, the equipment is an intended as a list of options to help you save money that you can explore yourself. It’s always best to rent and test field recording gear before making an investment, if you can. 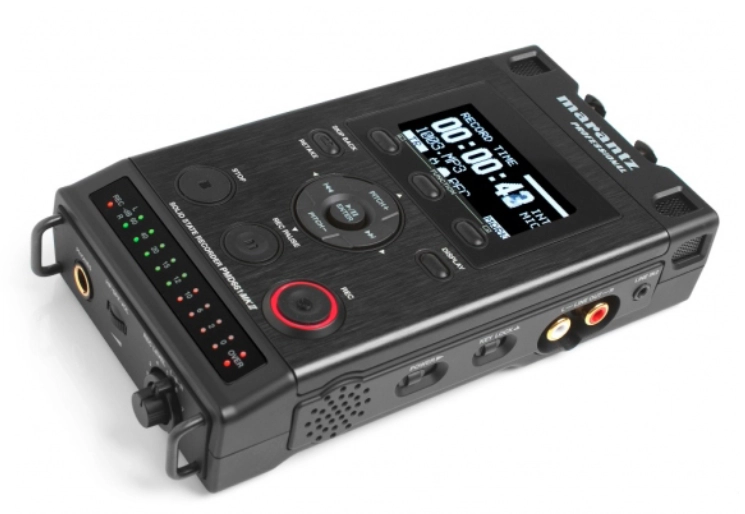 Buy a portable, handheld recorder. The entry models from Zoom and Sony are a good place to start. 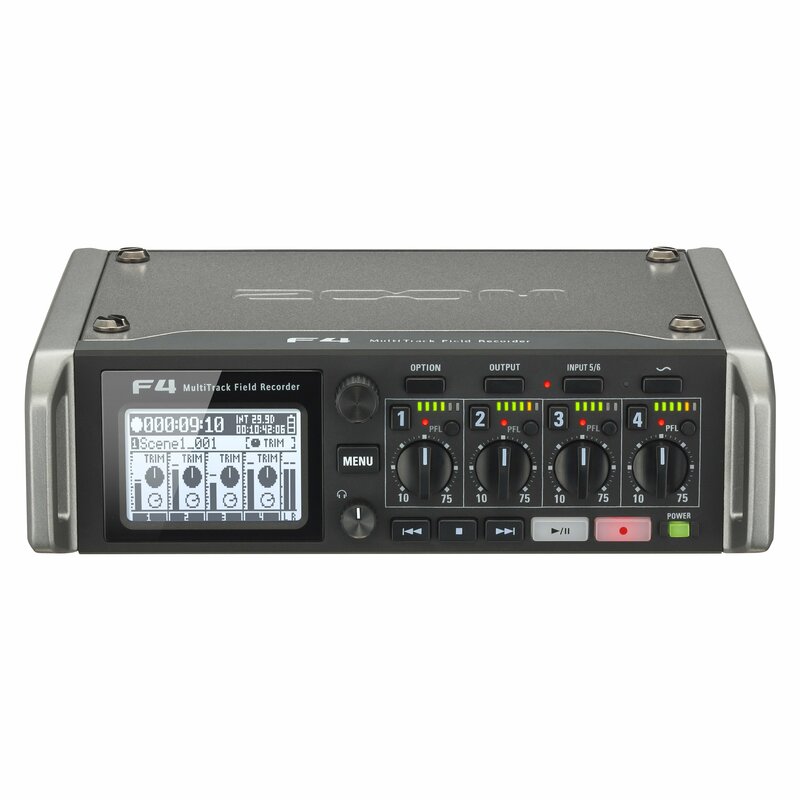 Zoom’s H2n (4 channels, $159), and H4n Pro (2 channels, XLR jacks, $199), and Sony’s PCM-M10 are a great place to begin. Buy used if you can. Previously-loved recorders with a few dents can increase your sound quality considerably, such as with Sony’s PCM-D50. Test and listen to samples on the Web to learn which is best for you. Microphone. 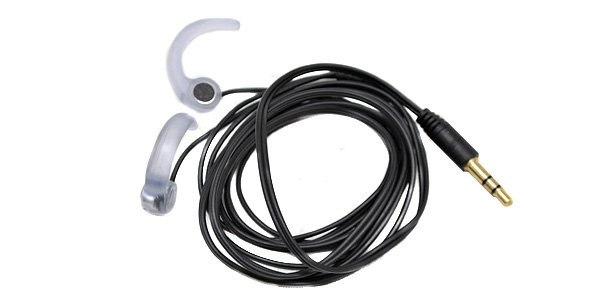 Binaural headworn microphones cost as little as $100. 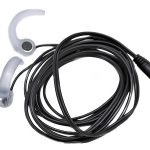 Binaural recording is an acquired technique, but are a cheap way to improve upon a recorder’s onboard microphones. The London Sound Survey’s budget binaural stereo microphone guide has a great list. 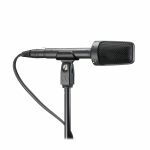 Some particularly good options include Microphone Madness MM-BSM–9 ($110), Sound Professionals SP-TFB–2 ($89), MS-TFB–2 ($149), and Soundman OKM II Classic Studio Solo ($129). The Roland CS-10EM combo ear bud and binaural microphones ($98.49) are another option. Buy a windscreen. Redhead windscreens ($34.95) are inexpensive and decent. There are other options for generic windscreens on eBay. Buy a used computer. A PC even three years old will cut audio just fine. You can even find decent Macs for less than $250. Look on Craigslist or eBay for deals. Install the Audacity sound editor. It is completely sufficient and also free. Reaper is another full-featured option that is free to use for 60 days, and quite inexpensive thereafter ($60). 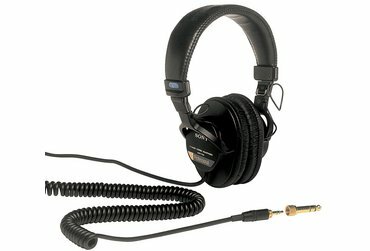 You can listen to audio with headphones via your computer’s native mini jacks. This will work, but it’s not ideal. If you have any room in your budget, buy a separate audio interface. This improves quality dramatically. 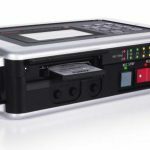 Two-channel breakout boxes and can be found for under $100. Pro headphones are less than $100 (try the popular Sony MDR-7506s, $79.99), and decent monitors can be bought for $150. Other options: trade your labour for studio time, gear rental, and so on. Borrow gear from school or from friends. This is starter gear. It’s meant to get you going with little expense and effort. The quality will be sufficient or better. You can upgrade to superstar gear over time (see below). Time (research and purchasing): less than one week. Record ten high-quality foundation sound effects every day. Choose a new topic, category, or subcategory every day. For example, record wood doors on day one, metal doors on day two, gates on day three, and so on. 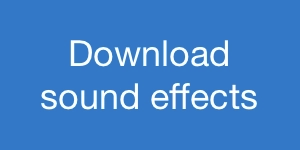 Continue this until you’ve recorded every sound effect in your home. Repeat for your parents’ house, then for each of your friends’ homes. Record their cars. Capture bus and train stations, schools, and major intersections in town. 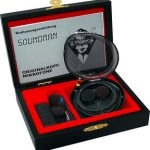 Are you already working in sound? Record and edit in ten new sounds per project, whether you have library sounds to do the job or not. Carve time in your schedule to go field recording. This step ensures your recordings are actually usable in projects. One note: the first week recording sound effects will be fun. As time goes on it will become more difficult to develop ideas for intriguing sounds. Persist. Be patient. Building your library takes time. Time: three months to a year. Many new field recordists believe they need a professional studio to record sound effects. Yes, proper studio acoustics are always the best choice. Just don’t let that stop you from starting. You have options. Your first option is to choose subjects carefully. You may have trouble recording computer mouse movement and clicks without a silent environment. Your gear may limit what you can record as well. Inexpensive recorders often have hissy preamps that prevent recording these sounds. Save quiet sounds for later. Instead, focus on recordings you can capture without spending $200 an hour in studio time. For instance, pursue atmospheres such as crowds, traffic, and birds. Find specific sound effects in naturally quiet environments. Another option is to build your own amateur do-it-yourself studio. It won’t rival rooms on the Skywalker ranch, of course. It doesn’t need to. Even a small amount of ingenuity can improve the sound of your room. The New & Improved Voice Over Porta-Booth explains how to stuff a collapsible fabric cube with acoustic foam panels to create a mini recording box suitable for vocals. Recording Vocals? An Easy Vocal Solution in Minutes has good general tips that help when setting up your own bedroom sound effects studio. How to Record Vocals in a Bedroom has tricks to improve audio when recording at home, as wells as other general recording tips. How to Build Your Own Acoustic Panels is written from a home theatre perspective. Use their detailed instructions to create panels for your sound effects studio. Sound on Sound hosts Building a DIY Vocal Booth, which explains how to build a booth from scratch. It’s more elaborate and expensive than previous ideas, but it’s a thorough option if you have a larger budget. Soundproofing and Acoustical Treatment is a series of articles with more advanced concepts about acoustics, with good general advice about soundproofing. Will sound effects recorded in a do-it-yourself studio be as clean as those recorded in a professional scenario? No. However these ideas will create a quieter environment with little to no expense. We’re looking for cheap, fast ideas that will get you on our way and give you a decent amount of sound isolation. Time (to buy or build): one day maximum. Branch out into the sound effects and field recording community. I’ve written about how to build your community here. Share your sound effects and your experiences. You can start this as you are recording your sound library. Upload your very best samples to SoundCloud. This is free. Create a blog on Tumbler, Blogger, or WordPress. Share your sounds, your experiences recording, and thoughts on the work. Embed your Soundcloud samples in your blog posts. Learn as much as you can. Explore sound communities. They are packed with experienced and intelligent people who are happy to help. Ask questions in these places, and learn. Here’s a list of field recording community websites. Share what you’ve learned. Comment thoughtfully on blogs, Tweets from others, and Forums posts when you are inspired. Include a link to your Soundcloud and blog pages in your email signature. This helps you learn, and vets your recording quality with others. Time: six to eighteen months. 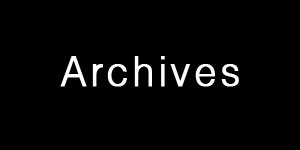 Over 3,500 diverse, strong sound clips. Skill recording hundreds of categories of sound effects. Extensive expertise with your gear and software. Knowledge about what gear upgrades will benefit you most. Diverse experience. Working with low-end gear often requires problem solving. This will help you later in your career. A network of friends and colleagues. An online resume superior even to LinkedIn: your blog. Microphone. 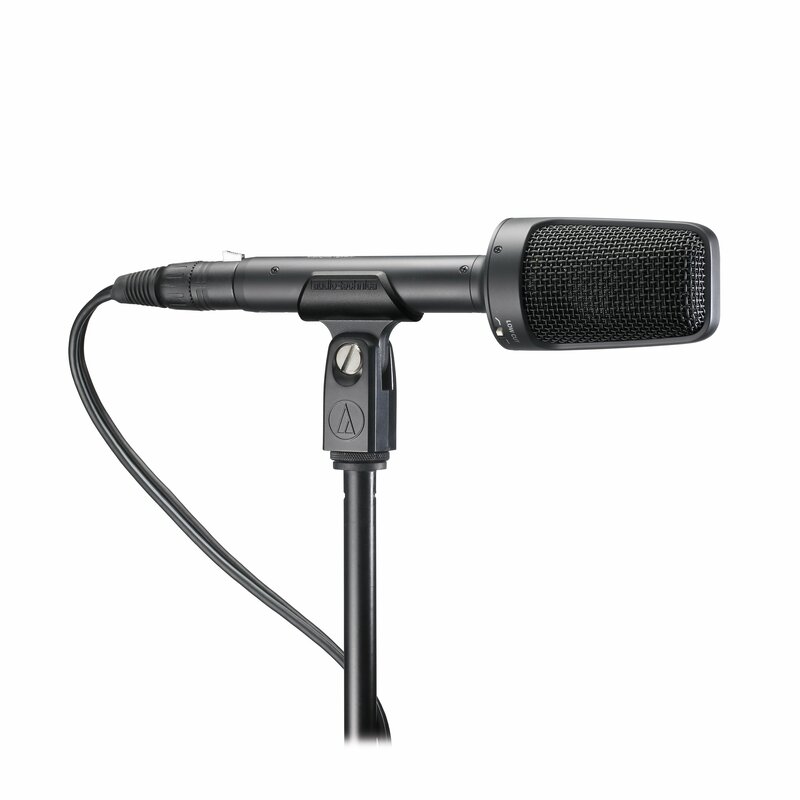 Buy a dedicated stereo condenser microphone first. 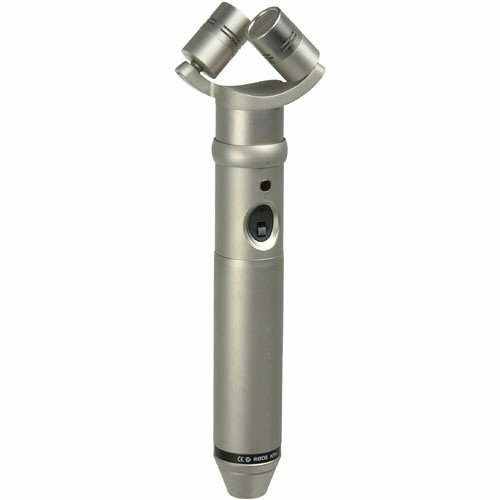 Some decent inexpensive fixed X/Y options include the Røde NT4 ($529), and Audio Technica models (AT2022 ($249), AT8022 ($399) and BP4025 ($649)). 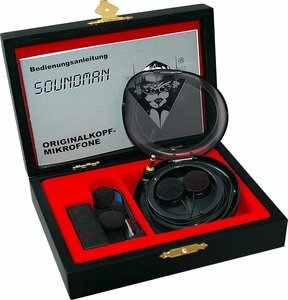 Supplement these with a shotgun microphone, and matched mono microphones with specific polar patterns. Specialized microphones can follow: binaural microphones, parabolic microphones, and so on. Recorder. 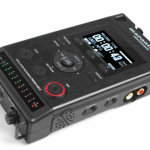 A new recorder with better preamps and professional XLR inputs. 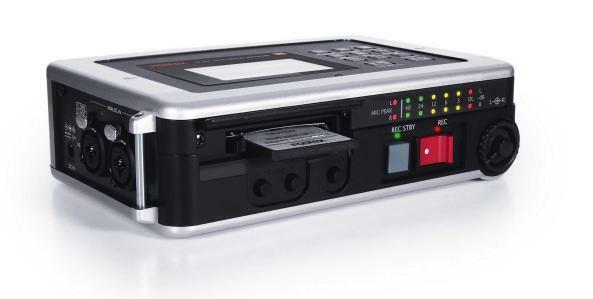 Upgrade further by choosing multi-channel recorders with better workmanship. Some solid options are the Marantz PMD 661 MkII (portable, 2 channel, $379), Fostex FR-2 LE (2 channel, $599), or the Zoom F4 (4 channel, $649). 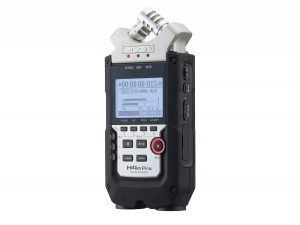 Read my sound recorder buying guide for other ideas. Preamp. A dedicated preamp improves upon stock recorders with cleaner gain. 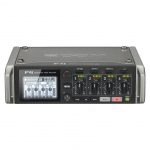 An example is Sound Devices’ MixPre-D ($1,100). A better computer: faster processor, more RAM, and a larger display. An audio interface (if you haven’t purchased one already). Better breakout boxes have cleaner components, and allow more inputs and outputs. More sophisticated software. Pro Tools will run you over $500. You can also upgrade your technique. Attempt difficult field recording shoots with animals, weapons, and vehicles. Don’t be discouraged if they are tricky. Range farther afield. Travel and record. Challenge yourself. Catalog your mistakes, share them with forums and colleagues, and learn. These steps cultivate the experience you need to begin. They build a strong sound effects library. They will immerse you in the field recording community. They lay the foundation for a career in sound. It’s time to take your knowledge, skills, and sound library, and use them craft a career in field recording. 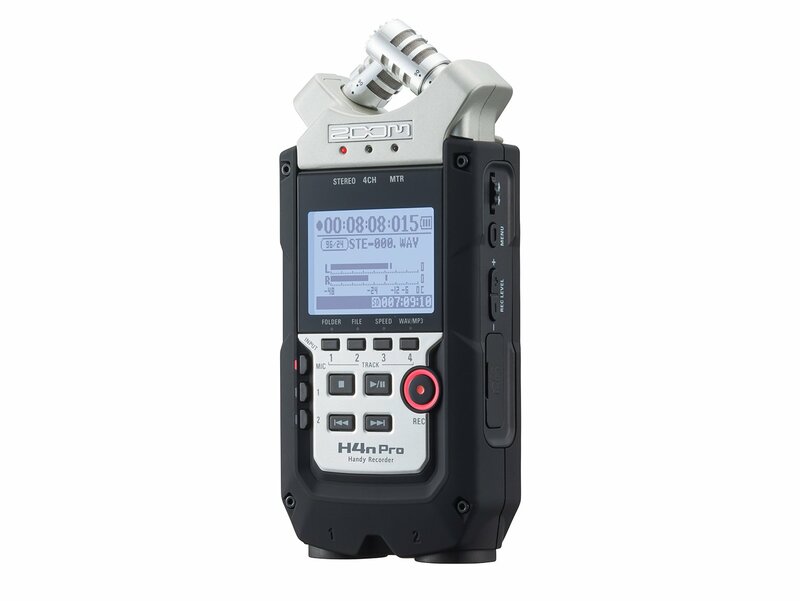 Learn how to decide upon an audio recorder in the Digital Sound Recorder Buyer’s Guide.